The 2010 Youth Media Awards Are Here! The nominees were picked, read, and voted on. In January, during their annual Midwinter conference, the American Library Association (ALA) announced the winning titles for this year's top books for children and young adult readers. At long last, here is the list and brief descriptions provided by the ALA. I'm not listing the honor books for the sake of saving you all from going through an amazingly long post. If you are interested in the honor books, which are equally as great as the winners, click on the title links to visit each award's webpage. I'm looking forward to reading and reviewing some, if not all, of these books! Enjoy! Stead, Rebecca. 2009. When You Reach Me. 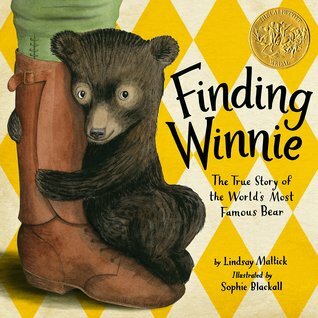 NY: Wendy Lamb Books/Random House Children's Books. ISBN: 9780385737425. Pickney, Jerry. 2009. The Lion & the Mouse. Illus. by Jerry Pickney. NY: Little, Brown and Company Books for Young Readers. ISBN: 9780316013567. The screech of an owl, the squeak of a mouse and the roar of a lion transport readers to the Serengeti plains for this virtually wordless retelling of Aesop's classic fable. In glowing colors, Pinkney's textured watercolor illustrations masterfully portray the relationship between two unlikely friends. Bray, Libba. 2009. Going Bovine. NY: Random House Children's Books. ISBN: 9780385733977. Sixteen year old slacker, Cameron, sets off on a madcap road trip along with a punk angel, a dwarf sidekick, a yard gnome and a mad scientist, to save the world and perhaps his own life. Micheaux, Vaunda. 2009. Bad News for Outlaws: The Remarkable Life of Bass Reeves, Deputy U.S. Marshal. Illus. by R. Gregory Christie. Minneapolis, MN: Carolrhoda Boods/Lerner Publishing Group, Inc. ISBN: 9780822567646. Born into slavery in 1838, Bass had a hard life and a strong sense of right and wrong. Bass was one of the most feared and respected lawman in Indian Territory. During his career, he made more than 3,000 arrests but killed only fourteen men. Hughes, Langston. 2009. My People. Illus. by Charles R. Smith Jr. NY: Ginee Seo Books/Antheneum Books for Young Readers. ISBN: 9781416935407. Smith’s vibrant sepia photographs celebrate the beauty and diversity of African Americans. The close-ups of illuminated faces filled with jubilant, loving expressions emerge from black backgrounds and capture the spirit of Langston Hughes’ eloquent poem. Magoon, Kekla. 2009. The Rock and the River. NY: Aladdin/Simon & Schuster Children's Publishing Division. ISBN: 9781416975823. Mora, Pat. 2009. Book Fiesta! : Celebrate Children’s Day/Book Day; Celebremos El día de los niños/El día de los libros. Illus. by Rafael López. NY: NY: Rayo/HarperCollins Publishers. ISBN: 9780061288777. Rafael López utilizes vibrant colors and applies magical realism to show that the love of reading is universal. Through a series of fanciful images, the author depicts Latino children inviting children of other cultures into their book fiesta, leading the reader on a visual journey that shows that reading sparks the imagination across all cultures and has the power to unite us. This informational children’s book will also serve as a valuable resource to those planning El día de los niños/El día de los libros in their communities. Alvarez, Julia. 2009. Return to Sender. NY: Alfred A. Knopf/Random House Children's Book. ISBN: 9780375858383. Julia Alvarez explores the thin line that separates American citizens and undocumented persons in her brilliantly told novel, “nder.” After Tyler’s father is unable to maintain the family farm, he hires undocumented workers, resulting in an interdependent relationship that mirrors current social and political conditions in the United States. Alvarez humanizes a situation by giving a voice to millions of immigrants experiencing similar hardships. This outstanding novel about the solidarity between two children of different cultures will resonate in the hearts of readers of any age. Christensen, Bonnie. 2009. Django. NY: Neal Porter Book/Roaring Brook Press. ISBN: 9781596434226. While Jason Blake who has autism, considers himself to be anything but typical, his life is that of a conventional 12-year-old boy. He wants a girlfriend, to fit in and to be recognized for his creative writing. Baskin, Nora Raleigh. 2009. Anything but Typical. 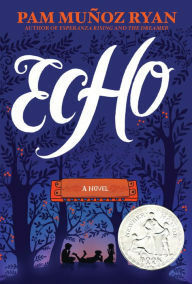 NY: Simon and Schuster Books for Young Readers. ISBN: 9781416963783. Django” is the biography of musician Django Reinhardt, who was in an accident that severely burned his hands and threatened to end his career. Through perseverance he went on to become one of the world’s most recognized and appreciated jazz guitarists. The book was chosen for its sensitive telling of Reinhardt’s life through the use of colorful oil paintings and lyrical free verse, and it demonstrated the power of one’s inner strength,” said Award Chair Barbara T. Mates. Stork, Francisco X. Marcelo in the Real World. NY: Arthur A Levine Books/Scholastic Inc. ISBN: 9780545054744. “Marcelo in the Real World” tells the story of Marcelo Sandoval who has Asperger Syndrome. Marcelo is pushed beyond his comfort zone when he is forced to take a job in his father’s law firm. Over the course of a tumultuous summer, Marcelo learns what it is to be a friend, to stand up for what he believes in and that he can create a place for himself in the real world. Madigan, L.K. 2009. Flash Burnout. Boston, Mass. Houghton Mifflin. ISBN: 9780547194899. Blake’s life is way too complicated. He’s a sophomore with a girlfriend and a friend who is a girl. One loves him. One needs him. Can he please them both? The voices of the characters are accurate, evocative and humorous capturing the everyday adolescent stresses and misunderstandings that are so hard to live through. DiCamillo, Kate. 2009. Louise, the Adventures of a Chicken. Narrated by Barbara Rosenblat. NY: Live Oak Media. ISBN: 9781430106883. Louise, a French chicken with wanderlust, finds adventure in Kate DiCamillo’s comical picture book. Whimsical sound effects, playful background music and Barbara Rosenblat’s impressive repertoire of voices combine in this tour-de-force listening experience. Hayes, Geoffrey. 2009. Benny and Penny in the Big No-No!. NY: Toon Books/RAW Junior, LLC. ISBN: 9780979923890. Geoffrey Hayes, creator of over forty books for children presents beginning readers with an exciting new tale. Siblings Benny and Penny encounter trouble when curiosity about a mysterious neighbor leads them into unexpected adventures. Benny and Penny is a perfect example of a graphic novel designed just for young readers. The characters' emotions are revealed in the rich artwork within each panel. Children will connect with the realistic dialogue and page-turning appeal of the story. They will be thrilled to enter the world of graphic novels. Murphy, Jim. 2009. An American Plague: The True and Terryfying Story of the Yellow Fever Epidemic of 1793. NY: Clarion Books/Houghton Mifflin Harcourt. ISBN: 9780395776087. Murphy’s well-researched books bring history alive through multiple narratives including young people. Primary sources, maps, photos, illustrations and dialogue reveal the drama of historical events, making Murphy’s books fast-paced reading of particular interest for young adults. The reader participates in the lives of these individuals and the events that shaped history.Jim Murphy is the 2010 Edwards Award winner. His books include: “An American Plague: The True and Terrifying Story of the Yellow Fever Epidemic of 1793,” published by Clarion Books, an imprint of Houghton Mifflin Harcourt; “Blizzard! The Storm That Changed America,” published by Scholastic Press, an imprint of Scholastic; “The Great Fire,” published by Scholastic Press, an imprint of Scholastic; “The Long Road to Gettysburg,” published by Clarion Books; and “A Young Patriot: The American Revolution as Experienced by One Boy,” published by Clarion Books. WinnerStone, Tanya Lee. 2009. Almost Astronauts: 13 Women Who Dared to Dream. NY; Candlewick Press. ISBN: 9780763645021. Women in space—not a big deal now, but it took over 20 years for NASA to recognize that women have the Right Stuff . “Almost Astronauts: 13 Women Who Dared to Dream,” tells the story of the women aviators and aspiring astronauts known as the “Mercury 13” who, in the early 1960’s repeatedly proved themselves capable but could not overcome prevailing prejudices. Meticulously researched and handsomely illustrated with archival materials, Stone’s insightful, passionately written chronicle is sure to inspire. Heiligman, Deborah. 2009. Charles and Emma: The Darwins' Leap of Faith. 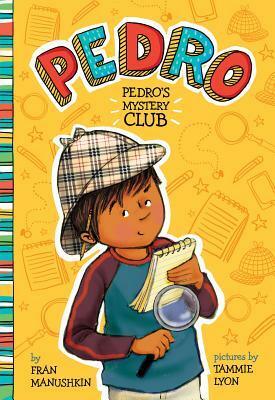 NY: Henry Hotl Books for young Readers/Macmillan Children's Publishing Group. ISBN: 9780805087215. Gagne, Paul R. and Mo Willems. Don't Let the Pigeon Drive the Bus!. Narrated by Mo Willems and Jon Scieszka. Animated by Pete List. Thor, Annika. 2009. A Faraway Island. Trans. by Linda Schenck. NY: Deacorte Press/Random House Children's Books. ISBN: 9780385736176. Originally published in Swedish in 1996, “A Faraway Island” (En ö i havet) tells the story of two Jewish sisters from Vienna, Austria, 12 year old Stephie and her younger sister Nellie, who are sent by their parents to Sweden to escape the Nazis. Nellie adapts easily, but Stephie faces painful challenges. This engaging novel explores the importance of family, friendship and personal growth. Kamkwambam, William and Bryan Mealer. 2009. The Boy Who Harnessed the Wind: Creating Currents of Electricity and Hope. NY: William Marrow/HarpCollins Publishers. ISBN: 9780061730320. Rosoff, Meg. 2009. The Bride's Farewell. NY: Viking Penquin/Penguin Group. ISBN: 9780670020997. Currie, Ron Jr. 2009. Everything Matters!. NT: Viking Penguin/Penguin Group. ISBN: 9780670020928. Finkel, David. 2009. The Good Soldiers. NY: Sarah Cricton Books/Farrar, Straus and Giroux. ISBN: 9780374165734. Welch, Diana and Lix Welch. 2009. The Kids Are All Right: A Memoir. NY: Harmony Books/Crown Publishing Group. ISBN: 9780307396044. Grossman, Lev. 2009. The Magicians. NY: Viking Penguin/Penguin Grou.p. ISBN: 9780670020553. Rock, Peter. 2009. My Abandonment. NY: Houghton Mifflin Harcourt. ISBN: 9780151014149. Carriger, Gail. 2009. Soulless: An Alexia Tarabotti Novel. NY: Orbit/Hachette Book Group. ISBN: 9780316056632. Small, David. 2009. Stitches: A Memoir. NY: W.W. Norton & Company. ISBN: 9780393068573. Wilson, Kevin. 2009. Tunneling to the Center of the Earth. 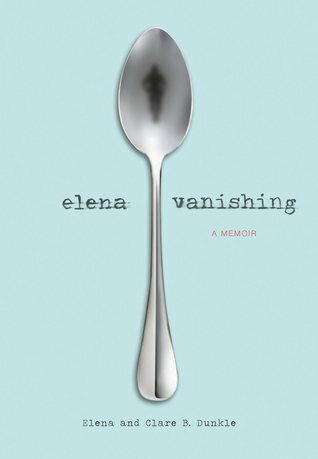 NY: Harper Perennial/HarperCollins. ISBN: 9780061579028. Hello everyone! I'm excited to announce that I have added some new features to the WP-CC blog! I now have section called "Blog Info" that contains pages of information and is located just under my profile. As of right now it includes a page about the blog and a page of FAQ and answers that I have gotten or I know I will get. Eventually, I would like to create a bibliography of all the books I have reviewed and which poems I've used for poetry breaks. This is just the beginning! A second new feature is the Search Blog bar. You can now search the blog for titles, authors, and keywords. If you have any questions about the search bar, read the little tidbit about it in my FAQ page. I've also added a few more links. Enjoy! Groundhog Day is tomorrow and it's time to share another poem! Though poems about groundhogs would be great, but sharing poems about shadows also very appropriate this time of year. Perhaps the most famous or well-known poem about shadows is Robert Louis Stevenson's "My Shadow." When sharing this poem with the kids, have fun and be animated in the reciting. And I see him jump before me, when I jump into my bead. And he sometimes gets so little that there's non of him at all. I'd think shame to stick to nursie as that schadow sticks to me! EXTENSIONStevenson's wrote all the poems in his A Child's Garden of Verses with an innocent, child-like perspective and this poem is no exception. Have the kids create their own poem or narrative to describe their shadow and what it does. Stevenson, Robert Louis. 1994. (orig. 1885). A Child's Garden of Verses. Illus. by Joanna Isles. ISBN: 9780877016083.